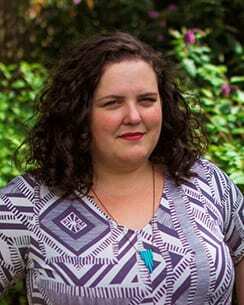 Rose is the Policy Development Lead for Community Justice Scotland, helping us engage in the rapidly shifting justice policy landscape, supporting development of our policy positions and considering implications for the many stakeholders in community justice. Rose studied Psychology at the University of St Andrews and an MSc in Criminology & Criminal Justice from Edinburgh University, focussing on policing, mental health and crime. 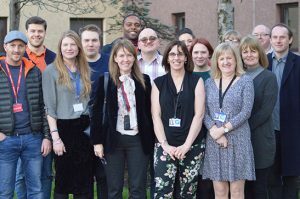 Post-masters, Rose has worked in the Third Sector at Sacro and with the Criminal Justice Voluntary Sector Forum, conducting research, developing policy positions and co-ordinating cross sector engagement to inform policy, practice and collaboration. 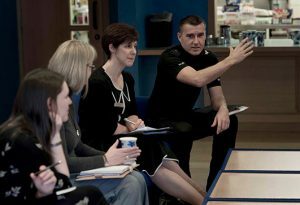 Rose also worked for the MAPPA Co-ordination Unit for Edinburgh, the Lothians and Scottish Borders, supporting statutory agencies and their partners in coordinating the multi-agency management in the community of people with ‘high risk’ convictions . Rose has a particular interest in the journey of women through the criminal justice system, collaboration across sectors and prevention, to inform systemic change.